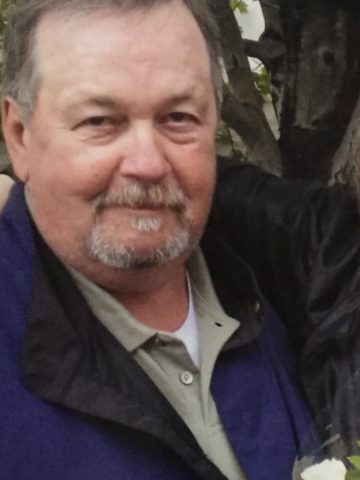 Ronald Kelly McDaniel 73, passed away Sunday April 29, 2018 at the Alvin C. York VA Medical Center Hospice. Ron was born in Nashville, December 21, 1944 to the late John Carl and Elsie Mae (Harbison) McDaniel. He grew up in Bon Aqua where he was one of three children raised by his mother. A US Marine Corps veteran, Ron served in Vietnam following graduating from boot camp in San Diego. He had worked in the financial field and had retired 7 years ago. Ron was devoted to his family and was a loving father and grandfather. He was an avid golfer, history buff, loved to read (especially old westerns), playing board games with his family and discussing his theories on what will happen next on his favorite tv show, Game of Thrones. He had a wealth of trivia knowledge that never ceased to amaze his family. In addition to his parents, Ron was also preceded in death by a son, Keith, and a brother, Robert Carlton McDaniel. He is survived by his lifetime partner, Virginia King; a son, Robert K. McDaniel; daughters, Kelly Heflin, April Huffines (Casey Cass), and Amy Huffines; his granddaughter, Florence Rose Cass; his sister, Faye Vaughn; and his sister-in-law, Shirley McDaniel. A celebration of Life service will be held Sunday at 4 pm at Cole and Garrett Funeral Home, Goodlettsville. An hour of visitation will be immediately prior to the service from 3 – 4 pm. Burial will be in Bon Aqua at a later date. For those wishing to do so the family request donations to St Jude's Children's Hospital. Ronnie was a great friend and will surely be missed. I always looked forward to seeing him at our class reunions. Ronnie was my dad’s (Phillip Westerman) friend, golfing buddy, and former roommate. I grew up with Ronnie’s family, (Keith, Kerry, and Ms. Joyce) in Dickson, TN. On behalf of me, my daddy, and mom (Judy Westerman) we send our condolences and prayers. I would also like to add, that even though “Uncle Ronnie” chose to nickname me “Stinky” and picked on me a lot as a kid I will never forget him and he will forever be in my memories of good and not so good times. God be with you in peace! Thank you for sharing your sweet story, Beverly. He will be missed for sure. Prayers for the family. May the Holy Spirit comfort all. Ronnie was a super friend and we had lots of great times together during high school. An old friend that will always be missed. Jim Green. Class of 62.